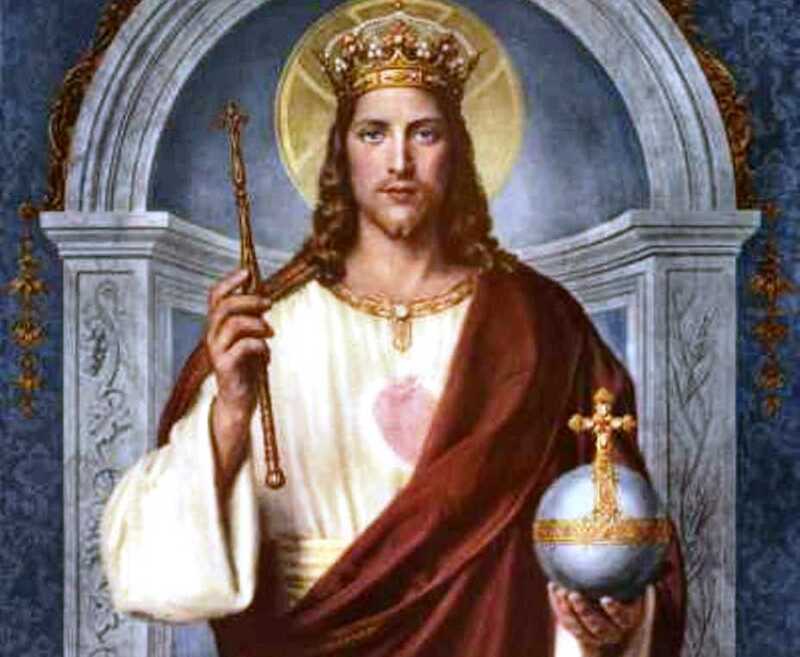 The rule of a monarch, such as that of the prophesied French Monarch, is preferable to the election of a leader, since with a monarchy we have an earthly imitation of the Kingship of Christ. “Dispositions, for those forthcoming times, require, on your part, many a day for immolation, together with communications on God’s part. --We are quite willing. But if you want me to pray, grant me the means for it. I am prevented from praying by fresh palpitations of my heart, accompanied with a piercing pain. “This is a sign that God is calling you; this is the way everything is made understood. “Enough, children … Under My watchful guard, a shelter is secured for you. I promised I would guard over whole families who will remain praying to Me together, under the sky, which, in a short time, will be lightless” (January 24, 1882). Marie-Julie Jahenny’s prophecies about the French Monarch have made it very clear that the masons who have ruled in France with their poisonous influences since the French Revolution, have not wanted a monarchy. Frenchmen who have been influenced by these masonic thoughts will rant and rage against this monarch, who is a true descendant from the line of martyred King Louis XVI, taking his rightful place as the head of France. It has also been prophesied that Paris will be destroyed by fire; that is, the prophesied fire from the sky. This king loves France and “[H]is eyes will shed tears over the ruin of the kingdom”. The French Monarch arrives with “the few faithful soldiers preserved by the Supreme King”; that is, a few faithful who have been protected by Christ the King, who support this descendant's claim to the throne of France. The Holy Ghost promises to even protect whole families, as long as all members stay faithful, praying to Him. Where are the faithful ones? Seemingly outside, “under the sky” and therefore seemingly unprotected from the wrath of the Three Days of Darkness, and yet Divinely protected. The French Monarch's task of taking his rightful place on the throne of France is a difficult undertaking which requires the prayers of all of us. Let us never miss a day to pray for the success of the French Monarch, whose job it is to restore the Papal Seat to the Pope in Exile. Deo gratias, and may God protect and bless him!